Would you like to expand your movement vocabulary, while learning how to flow with streamers? Do you want streamer movement ideas to words found in worship songs? 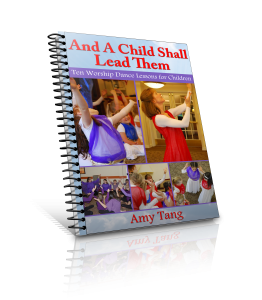 Do you need some ideas for dancing for the Lord and incorporating streamers? How would you like to obtain some ideas for group dynamics and composition to make your dances more interesting? Even if you are a solo dancer, you can gain many creative movement ideas from watching this. What is nice about it is that the breakdown of the steps is so specific that just about anyone can do any of the steps. Plus there are modifications shown. 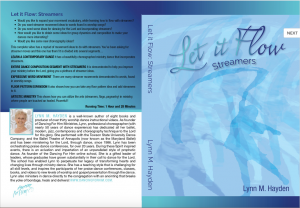 It is demonstrated to help you improve your ministry before the Lord, giving you a plethora of streamer ideas. There are many movements demonstrated to words, found in worship songs. Then they are shown with the streamers to add interest and depth to your movement. It also shows how you can take any floor pattern idea and add streamers to it. Showing the use of two streamers in each hand, this ministry piece also incorporates the entire conference in a prophetic act of being covered and blessed by God’s grace. This shows how you can utilize the arts (streamers, flags, pageantry) in ministry, where people are touched an healed. Powerful!! The music on this DVD is called, “Let it Flow,” from The Be Still And Know CD, by Kathleen Carnali and may be found in the music section of our store and in related items below. The music for the ministry piece is called, ” Diving Into Grace,” from the Son Room CD, by Kimberly and Alberto Rivera. That may be found in their website.